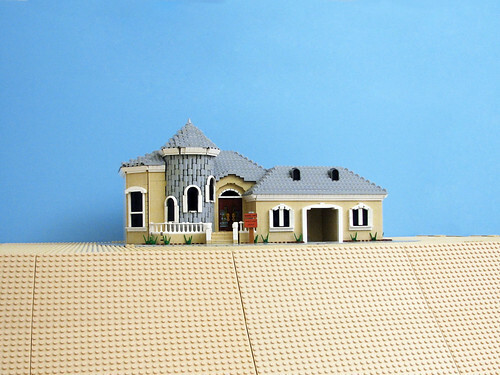 Brick Town Talk: Take Your Notes Now - LEGO Town, Architecture, Building Tips, Inspiration Ideas, and more! This is probably one of the best built homes I've ever seen. The west coast style (at least that's how I see it) is very unique. The curves and angles on this home are top notch. Awesome job on this! Of note, this is the house used as the Model Home on Arrested Development. Pepa also made characters from the show. The built are hard to achieve and it requires more patience to build one of those model. The edges and the body of the house are almost real.